ZTE's All Brand Nubia is launching its new gaming smartphone Red Magic 2 soon. Before the launch, some teaser information about the handset is revealed by the company. China's mobile maker Xiaomi is also launching Black Shark Helo and Razor Company Razer Phone 2. In this case, Red Magic 2 is being rolled out to compete with both companies. Earlier this year, the Nubia company launched its first gaming smartphone, Red Magic. Now the company has posted a teaser on the Chinese micro-blogging site Weibo. Teaser has shown that the Red Magic 2 smartphone will come with Qualcomm Snapdragon 845 chipset and 10 GB RAM. Remember that Snapdragon 835 processor and 8 GB RAM were used in the previous model of the company. The picture posted on Weibo is indicating that the Red Magic2 phone may be launched with stereo speakers. 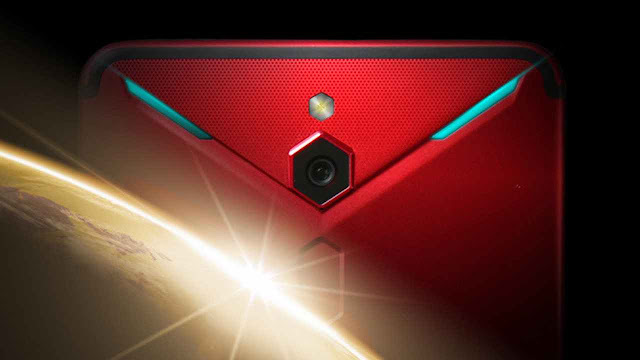 The Red Magic 2 smartphone will launch on October 31. Some time ago the Chinese site Weibo had posted a post by the company's General Manager Ni Fei, but this post did not mention the launch date. However, it is not clear whether it will be Nubia X or Nubia Red Magic 2. Nubia Red Magic 2 does not currently display curtains from all the specifications and availability. Recall that the previous model Nubia Red Magic had an air-cooling technology, gaming mode, back RGB LED panel with 16.8 million color and diamond cut design. If the thing is specific, then the handset is equipped with Android 8.1 Orio, 6 inches Full HD + (1080x2160 pixels) LTPS TFT display, 24-megapixel rear camera and 8-megapixel selfie camera.